Are you a Samsung user? If yes then you must have come across the functionality Samsung Smart Switch? It may have wondered you a little as to what it is and how can one make a good use of it? Well, first of all, cheers to the Samsung users as they can reap the benefits of the Samsung Smart Switch. It is an effortless feature that lets the user transfer the phone contents from any source device to the destination device/system. Now you must be thinking from where should you get the application from? We are here to enlighten you about the same. If you are using a Windows/ Mac PC, you can download the Samsung Smart Switch by visiting the official website, https://www.samsung.com/in/support/smart-switch/ and tapping on the download link(depending upon the OS you are using). If you are working on a Samsung phone, then you can download the Smart switch app from the Google Play Store. Now that you have downloaded the Samsung Smart Switch You can make use of the Samsung Smart Switch in various ways. 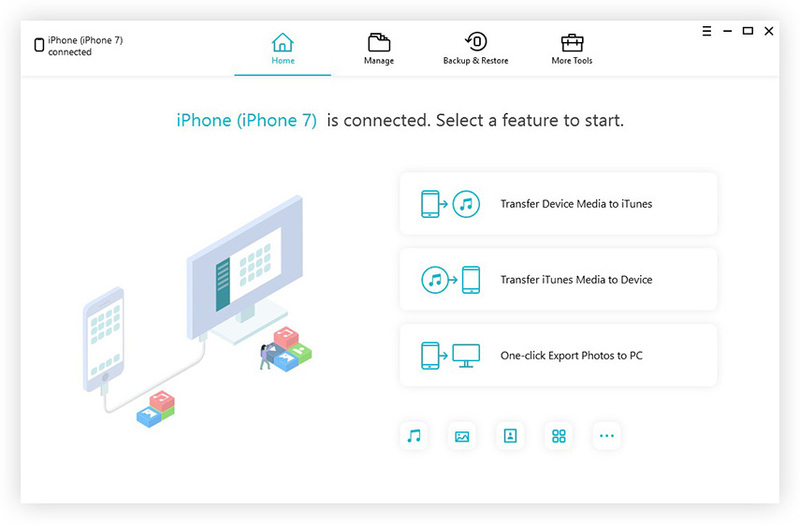 Samsung Smart switch is available as an application in the Playstore which can facilitate the users for transferring the contents from one phone to another. Below are the steps that will help you to accomplish the process. Download Samsung Smart Switch app in your old Android as well as the latest device. Runt the application on both the devices. From your old phone, click on 'Send' option, while hit the 'Receive' option from the new device. For making a connection between the two devices, tap on device variant from the next screen on new device and hit the 'Connect' option on both the devices. 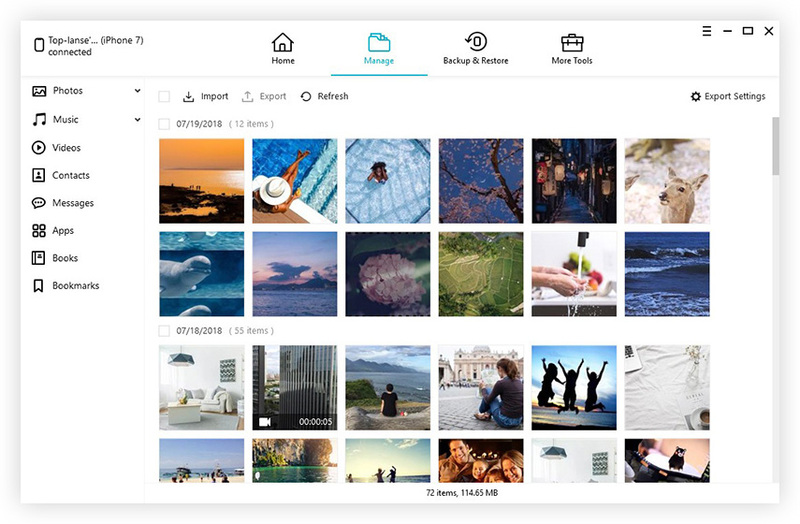 You will not get an overview of the list of items available which will cover media files, applications, wallpapers, settings etc etc. Tick-mark the variants you want in the receiving device by hitting 'Transfer'. The desired items will get switched to another device. One can make use of the USB Cable to transport the contents from one device to another. Follow the instructions to know how. Firstly, install the Samsung Smart Switch App on both the devices. Once the Home Screen appears on both the devices, tap the Samsung Smart Switch icon from both the devices. In the following Smart Switch Screen, Click on 'START'. Then, you need to tap on the 'USB CABLE' option. Connect both the Android devices using the USB connector. Make sure you attach the USB cord to the Mini USB/USB-C adapter inclusive in your latest Samsung device. Grab the new device and click on 'RECEIVE' and tap 'Allow' from the Old device. After the completion of the transferring process, you can tap on 'CLOSE APP' from both the devices. If you are looking to transfer the data from your PC/Mac to new Galaxy phone, then the following steps can prove to be useful. Depending upon your Operating system, you can download the Smart Switch desktop client on your system. Run the application, in the meanwhile; connect your old device to the system using a USB Cable. Open the application and click on 'Backup' option. Before proceeding, you are required to unlock the lock screen. After this, get your new phone to connect it to the system via USB cable. Then, select 'Restore'. Now, select the latest backup file from the pop-up menu and tick mark the items you want in your new Galaxy phone and Hit the 'transfer' button! We are very well acquainted with the functioning of the Samsung Smart Switch but that doesn't seem to help the iOS users. To export the contents to the new Apple phone, you can make a great use of Tenorshare iTransGo for iOS Data Switch! A perfect tool with friendly interface that aids the Apple users in switching the data easily! Not only that, iTransGo simultaneously syncs the App data when changing to the new device. This amazing tool goes down well with both the Windows/Mac versions. Following are the steps that you must follow to efficiently use iTransGo for iOS Data Switch. Step 1 The first step to undertake is by downloading the Tenorshare's iTransGo in your PC/Mac. Grab your iPhones and make sure you establish a connection of them to your computer using the USB cable. Step 2 Now, the connected devices will now appear in the screen. If you want to swap the devices, you can make use of the 'Flip' option which will be in the middle of the two devices. Step 3 Hit 'Next' and within a fraction of moments, iTransGo software will unearth the data types present in the source device. You will have an overview of the data variants that you can analyze for transferring to the destination phone. Step 4 Mark the contents that you wish to have in your latest phone. Hit the 'Start transfer' tab. You will be able to see the progressing and after few minutes the data will be successfully transferred to other device. We have acquainted a thorough knowledge on the Samsung Smart Switch and the various methods through which the Samsung users can make use of this feature. However, the coverage to this feature is limited to only Samsung phones. And in this age, most of the people possess an iPhone over a Samsung phone. Which is why we recommend the users to get Tenorshare's iTransgo, as it provide a simpler path for switching data of one iPhones to another.